This adidas Large Power resistance band is the heavy option in this series and lets you up the intensity and resistance and enhance your strength and conditioning exercises. This red band is a very versatile fitness accessory as it can be used for total body workouts, will suit users of different fitness levels and abilities and is compact, portable and lightweight so you can take it with you everywhere. Max out the resistance on lots of exercises and drills such as pull-ups, dips and more with this great band. for submitting product information about adidas Large Power Resistance Band - Heavy We aim to answer all questions within 2-3 days. 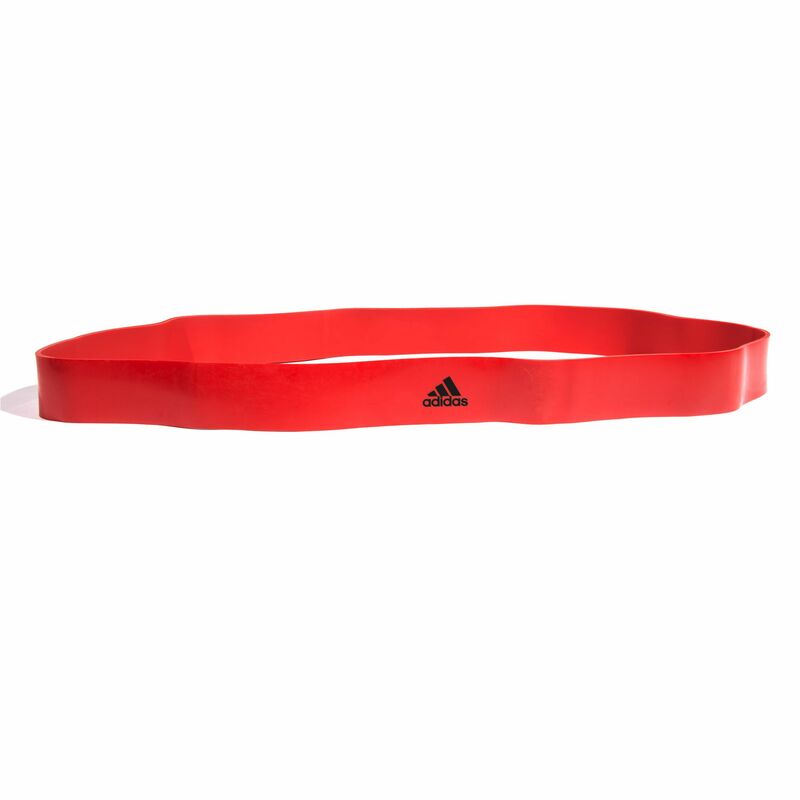 for submitting product information about adidas Large Power Resistance Band - Heavy. We aim to answer all questions within 2-3 days. If you provided your name and email address, we will email you as soon as the answer is published. for submitting product review about adidas Large Power Resistance Band - Heavy.